The all-new 2019 Subaru Ascent has made it to Subaru dealerships across Canada and the buzz surrounding the release of Subaru’s biggest and most versatile Subaru yet hasn’t slowed down. We’re exploring the specs and features of the Ascent today. As the largest vehicle that Subaru has produced yet, the Ascent has 3 rows of seats and can fit up to 8 people comfortably. The second row of seats are optional captains chairs or bench seating. 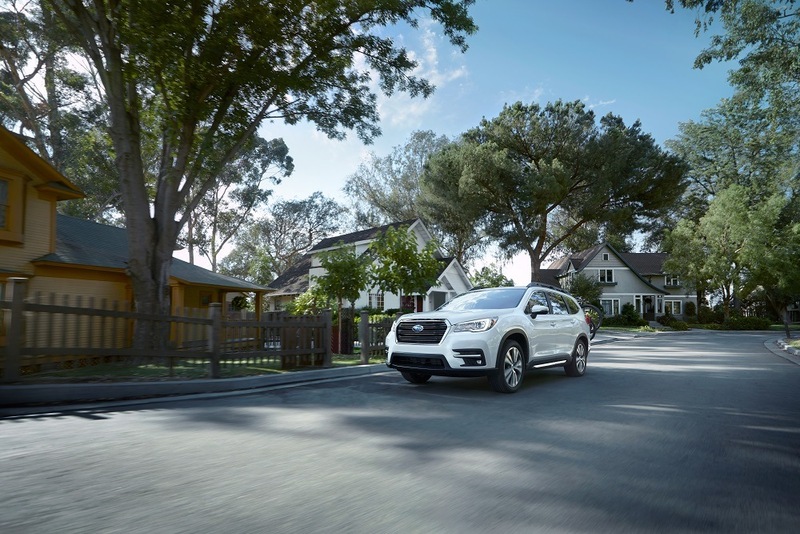 The Ascent is versatile, with X-MODE and Subaru’s AWD taking you anywhere you want to go. The Ascent is built with Subaru’s all-new direct injection, turbocharged Subaru BOXER Engine, which offers 260 horsepower and 277 lb-ft of torque. Also standard is the High-torque Lineartronic® CVT (Continuously Variable Transmission), including the lock-up torque converter, paddle shifters, Manual Mode and Normal transmission modes, transmission shift lock, and X-MODE. X-MODE is standard with Hill Descent Control, which helps take your Subaru Ascent from city to off road without pause. With a ground clearance of 8.7 inches, the 2019 Ascent can take you almost anywhere, and you can take all you need with you thanks a towing capacity of up to 5,000 lbs. The Subaru Ascent also comes equipped with Subaru STARLINK Safety and Security, with Automatic Collision Notification in the event of emergencies. The Ascent also comes with the STARLINK Multimedia features as well, for easy connectivity. With the Subaru Ascent, you can take on any of life’s adventures. The Ascent offers an impressive 86.5 cubic feet of cargo space, 19 available cup and bottle holders, and more inside to make travel easy, even with all of the seats taken up. For even more storage opportunities, the Ascent comes with optional raised roof rails to make external storage easy. The Ascent also offers new technology, such as a power rear gate, making loading or unloading the vehicle a hands-free experience, and remote engine start for the harsh Ontario winters. Subaru’s EyeSight suite comes standard on all trims, with pre-collision braking, pre-collision brake assist, pre-collision throttle management, adaptive cruise control, lane departure warning, lane sway warning, lane keep assist and lead vehicle start alert. Looking for more information on the 2019 Subaru Ascent? Come to the Subaru of Niagara lot today where our Sales Consultants will be happy to help you into the right vehicle for you.